Some call them punk, garage, even pop at times. 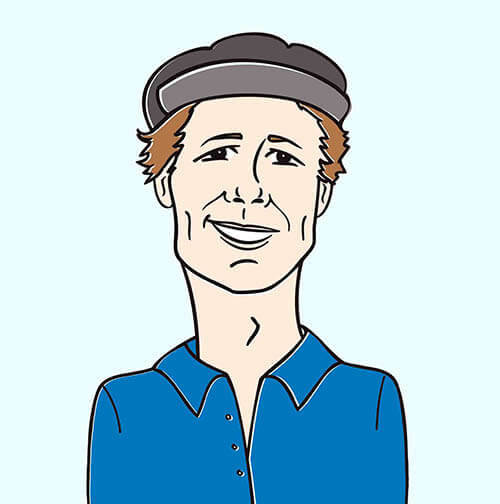 So, it makes sense that that Room Full of Strangers have drawn diverse comparisons such as the songwriting approach of Mac Demarco and Jonathan Richman (Modern Lovers). Then on the other hand music journalists such as Jeffrey Morgan (biographer of Iggy and The Stooges) have compared the Strangers to influential, primal, distorto rockers such as The Dictators as well as a cornucopia of other proto and early punk bands akin to the MC5, Dead Boys and even once being referred to as a tougher DEVO! – But whatever you call Room Full of Strangers, there’s no denying they are rock and roll personified, in their art as well as their approach to life. Over these past few years, Room Full of Strangers have been burning up college radio airwaves, racking up road miles, crossing the pond to Europe and appearing at festivals such as SXSW, CMJ and CBGB Fest. Later this year the Strangers will even be featured in Boy Howdy! The Story of CREEM Magazine, where they will be highlighted along with Iggy Pop, Debbie Harry and Chris Stein of Blondie, Wayne Kramer of the MC5 and many other artists. This documentary is being produced by J.J. Kramer and award winning director Scott Crawford who is known for the sensational Salad Days documentary which garnered a great deal of attention on the film circuit. 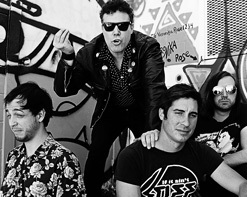 ”Modern Media” is the band’s first single off their forthcoming album Plastic for Packaging, the follow-up to 2015’s acclaimed Bad Vacation LP. The song is a statement about how the over-saturation of media in our lives isn’t necessarily a good thing, as they encourage the listener to think critically and start “living free”: “We’re not ok, with the media today, they try to divide us, just to earn their pay.” With fuzzed out guitars, a memorable hook, and a fast pace, it’s got that Monkees-meets-the MC5 vibe the band is known and loved for. Beginning this July, Room Full of Strangers will be touring again, including a stop in New York City for a performance at Mercury Lounge on July 15th, they will be co-headlining with underground music icon Frank Secich (Blue Ash, Stiv Bators Disconnected Band, Dead Boys, Deadbeat Poets) and several artists from Get Hip Recordings. For a full list of upcoming shows, see the Strangers Bands in Town app: www.BandsInTown.com/RoomFullOfStrangers.